Right guys… Today I came across an extraordinary house, the Toda House. Isn’t she awesome?! 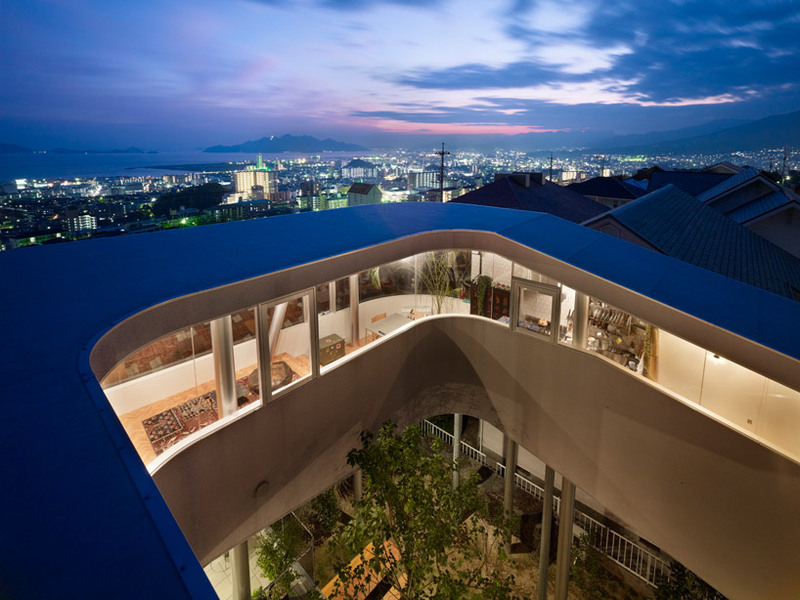 The Toda House was designed by Kimihiko Okada, and has been built in Hiroshima, Japan. 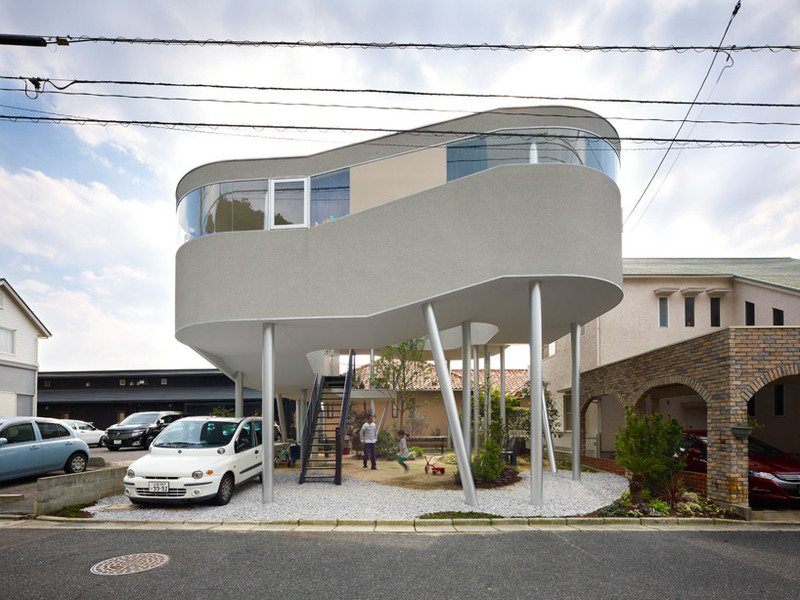 A single family home, the Toda House is designed with severe attention to detail. 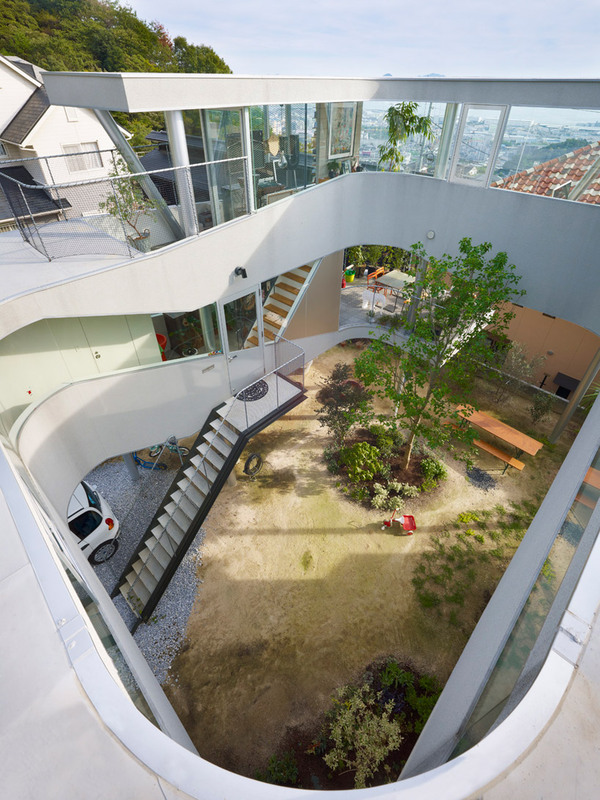 The overall feel to this modern home is some what considered to be like a ‘bird’s nest’ upon a perch. This luxurious modern home is built on chrome stilts, and so much attention to detail has been incorporated in to the finish, ensuring that the stunning views of the inland sea are appreciated from all angles. 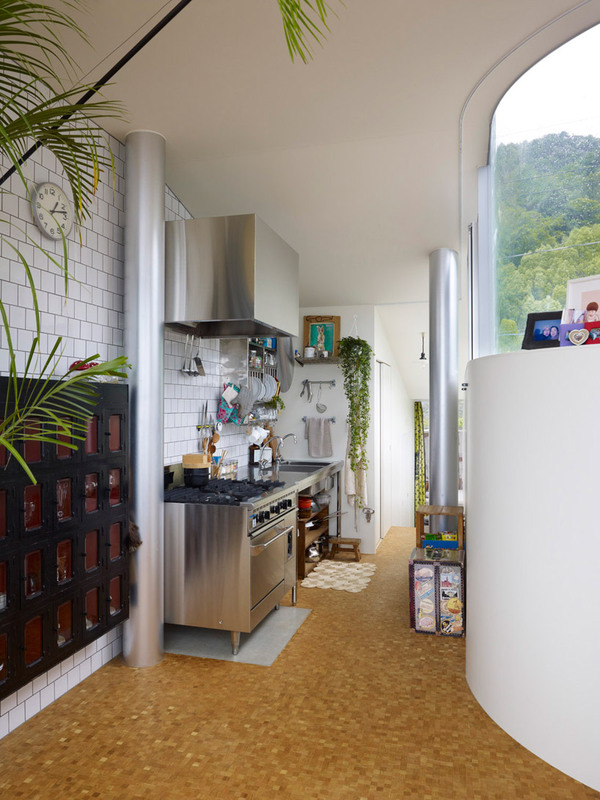 The house consists of a number of elevated floors which, although appear to be narrow, are designed in such a way to offer comfortable living space. The interior design and décor of this modern home certainly is breath taking! Feel free to share your thoughts on this one guys! 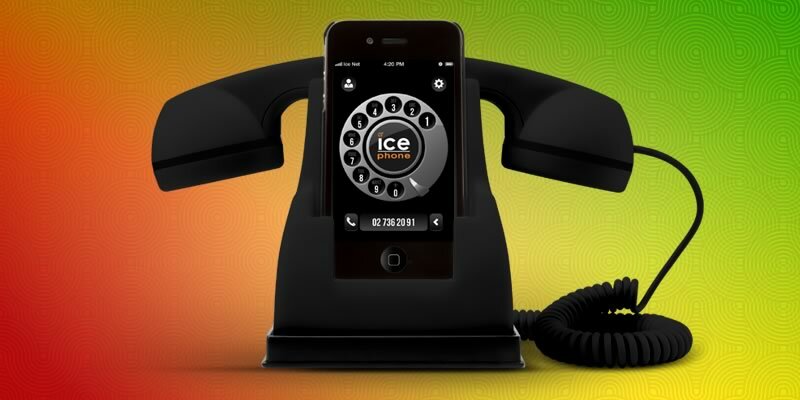 Following on from Ice-Clock, have you guys seen the brand new Ice-Phone which is due to hit the UK in November? Tic Watches are going to have the Ice Phone available in the Ice-Watch department. How do I know this? 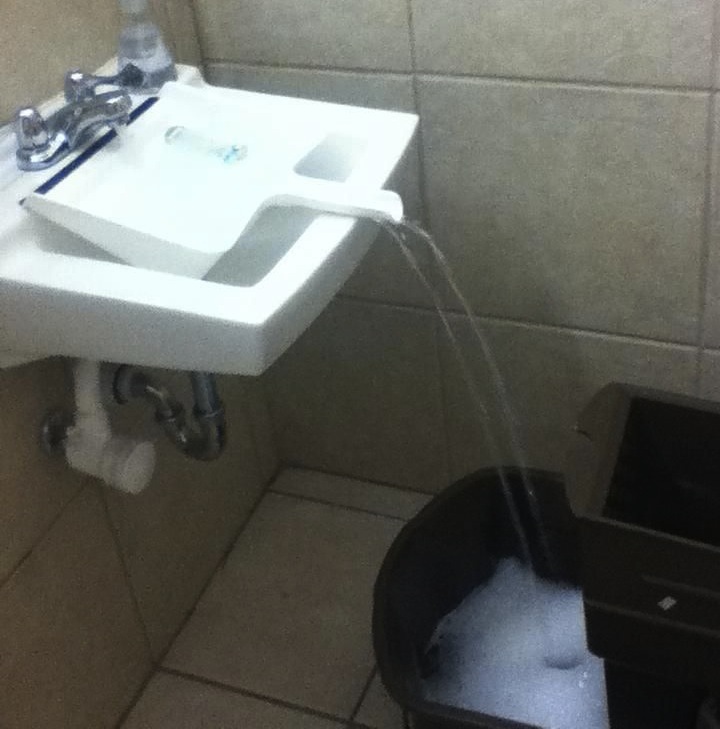 Because I just do! 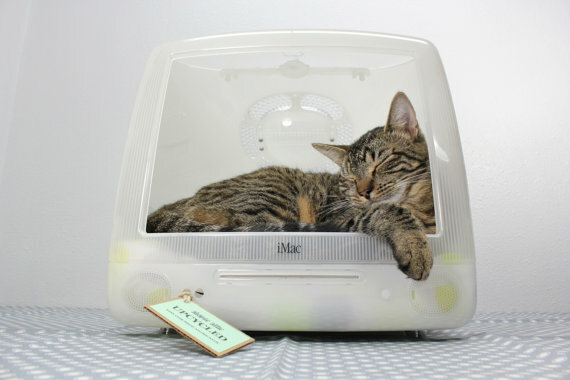 As soon as I get my hands on these amazing iPhone accessories, I will be doing an in depth review. Until then… you guys will just have to admire these awesome mobile phone accessories from the picture above. 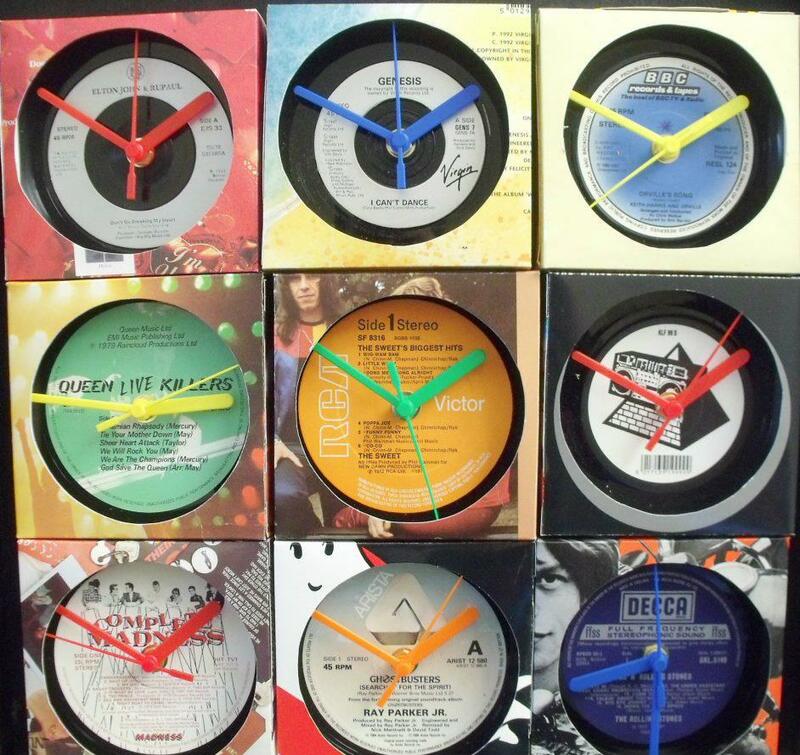 The classic clock meets vinyl music history! Yesterday I posted about clocks, and today I thought what better chance than to let all my lovely followers know about a company we came across who specialise in some of the most extraordinary wall clocks we have ever seen. Becky’s Clocks are so eye pleasing. 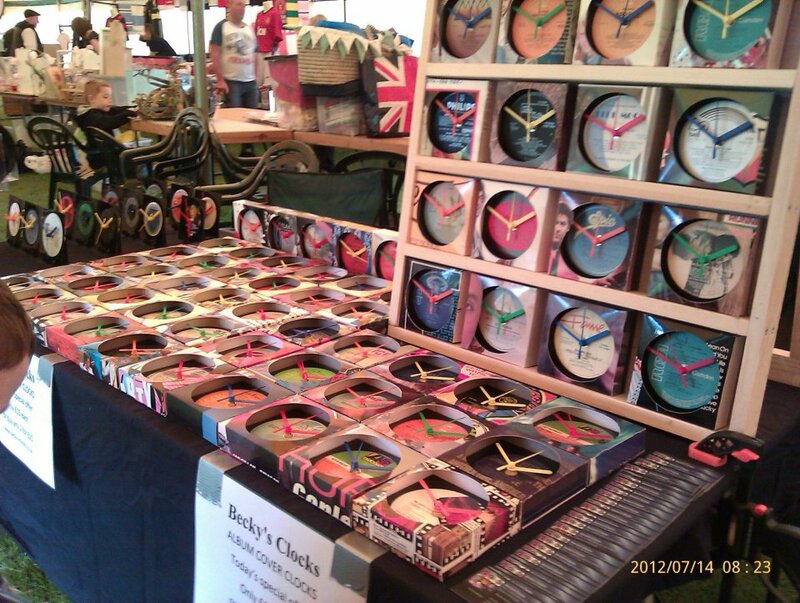 All of Becky’s Clocks have been handmade from old no longer played or graded unplayable vinyl records. These attractive wall clocks are so eye catching, we just had to introduce the Becky’s Clock range to our blog. These unique clocks are super cool, attractive and reflect an individual’s taste in music. Each vinyl wall clock is specially designed, and Beckys Clocks don’t miss a trick. Becky’s Clocks take advantage of the artwork found on the covers of such vinyl records to create tasteful distinctive wall clocks. Home Desirable loves the fact that these time pieces are one offs. Each clock is made from a 12” vinyl record and comes in a presentation box, which is also handmade from the original album cover. Each clock runs off a branded quartz mechanism, which uses a single AA battery. These fantastic clocks also come with a 1 year guarantee. Not only does Becky’s Clocks create music inspired wall clocks, they even have a range of animated clocks which would be perfect for any child. With a variety of clocks including Hello Kitty wall clocks, Avatar wall clocks, Betty Boop wall clocks and many more we’re certain there is a clock to suit everyone. To own your very own unique piece of vinyl music history, visit Becky’s Clocks today. So I’m mad about wall clocks – so what! I love all sorts of wall clocks, from designer wall clocks to multi-coloured wall clocks, I love them all. Working at my day job I deal with clocks on a smaller scale, watches to be precise, but that doesn’t deter me from the passion I have for wall clocks. Below are a few examples of some of my favourite wall clocks. Be sure to let me know what you all think guys! 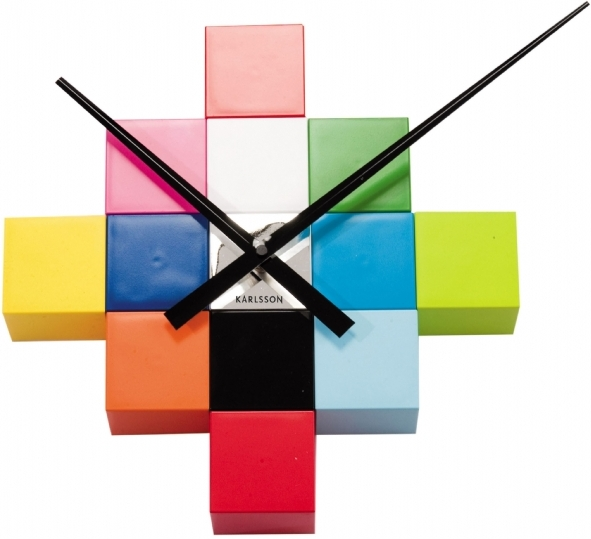 First up we have my favourite Alessi wall clock, the Alessi Blank Clock. Alessi, who also produce some of the most fantastic bold, trendy and funky watches I have ever seen are one of my favourite brands when it comes to keeping track of time. Below is an example of such a simple wall clock which can be customised to look however you want it to look. This idea of having a fully customisable wall clock is great – I mean come on guys, how cool would it be to doodle on your unique wall clock! Secondly, I would like to introduce to you guys this Karlsson photo wall clock. 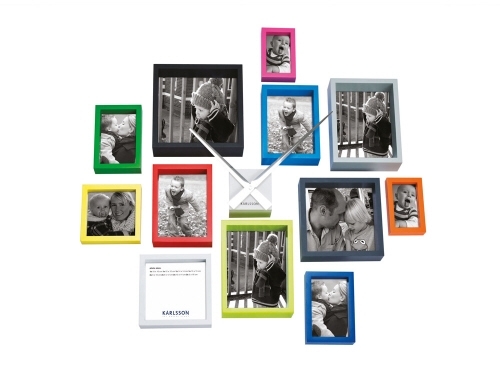 I love the idea of being able to capture and showcase your timeless memories around a clock face, and the colours are just so cool – wouldn’t you agree? 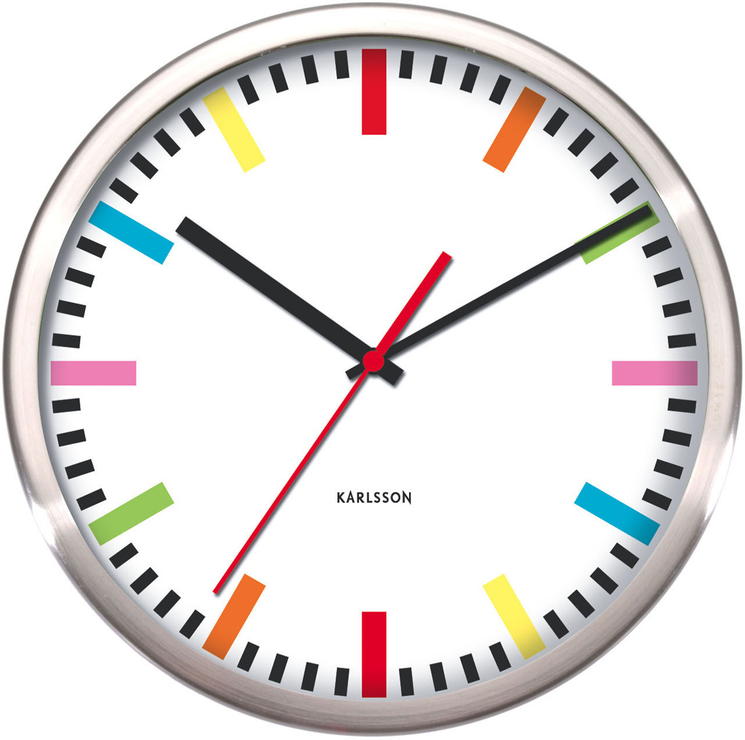 Thirdly, we have this Karlsson multi-coloured wall clock. This DIY cubic clock features an awesome multi-colour design. It reminds me of my grandfathers Rubik’s Cube which I used to ALWAYS ‘accidently purposely’ unsolve for him! 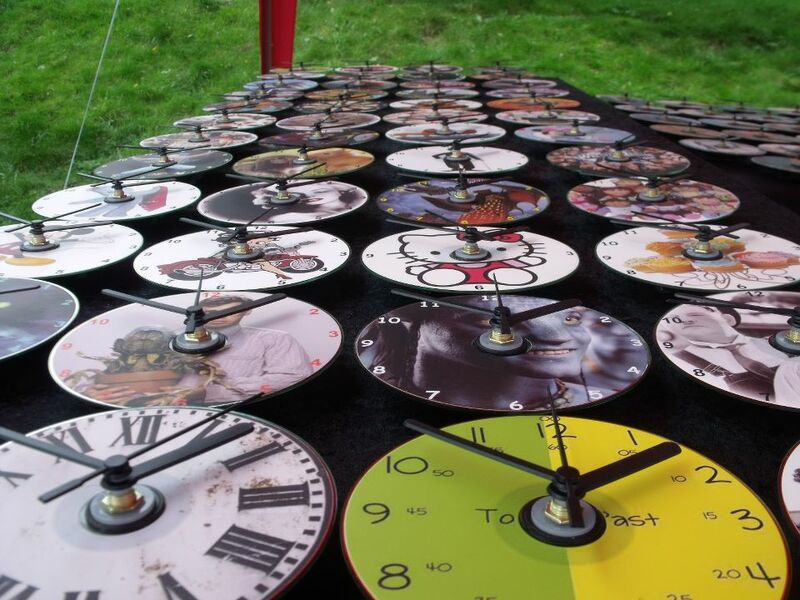 How bold and cool is this clock for a child’s room perhaps? 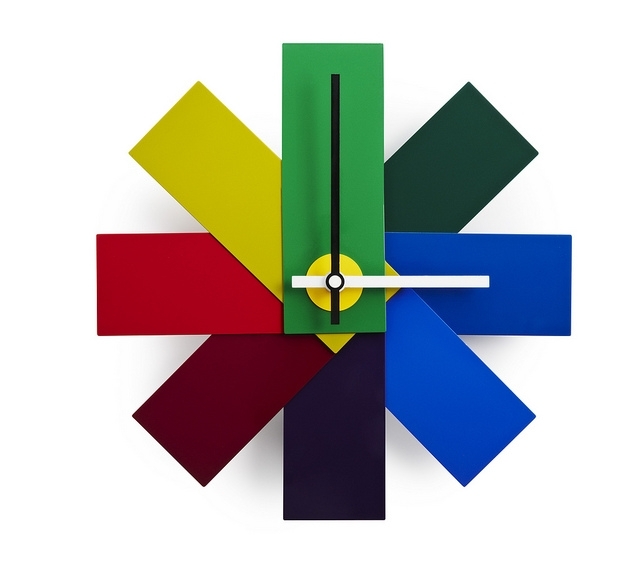 Fourth up we have this fantastic coloured wall clock from Normann Copenhagen. This Watch Me designer wall clock looks very trendy, and I’m sure this would make a striking addition to any wall space. Another Karlsson clock favourite of mine is this fantastic traditional analogue wall clock. I love the stainless steel finish with the white analogue face. The addition of bold colours in small doses looks so cool on this one. This wall clock would make a fantastic modern kitchen wall clock. Last but my no means least we have the fantastic Tabla Clock by Diamantini & Domeniconi. This black wall clock is awesome, it features a slate face and has a slide out side drawer which holds and conceals numerous chalks, as well as a felt chalkboard eraser. 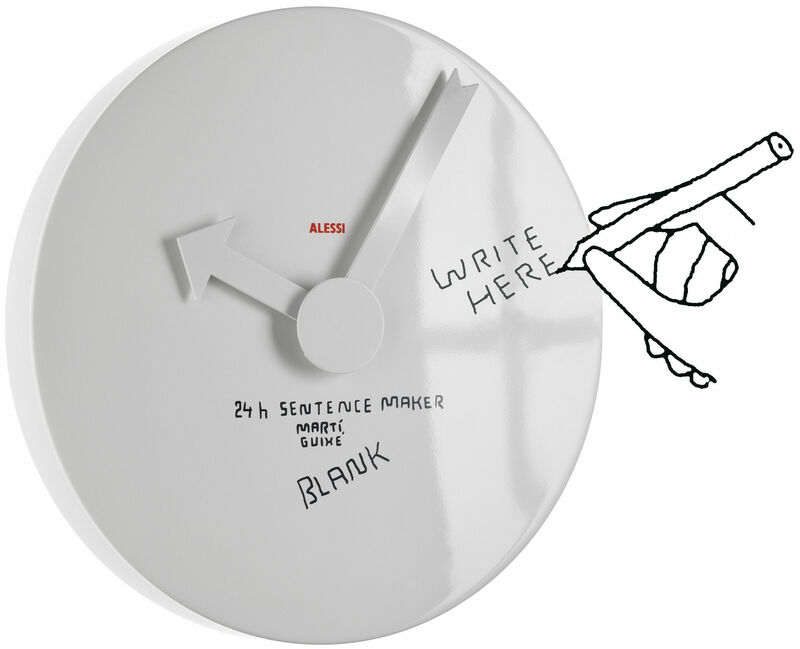 The idea of this fun wall clock is to doodle till your hearts content. Here at Home Desirable, we love this wall clock – we reckon it would make the ideal office wall clock! Well today we’ve been looking for those must have fabric cushions. I love anything that is different, or none reproduction. When we came across these fabulous 14 inch 1960 fabric cushion covers you could imagine our excitement! 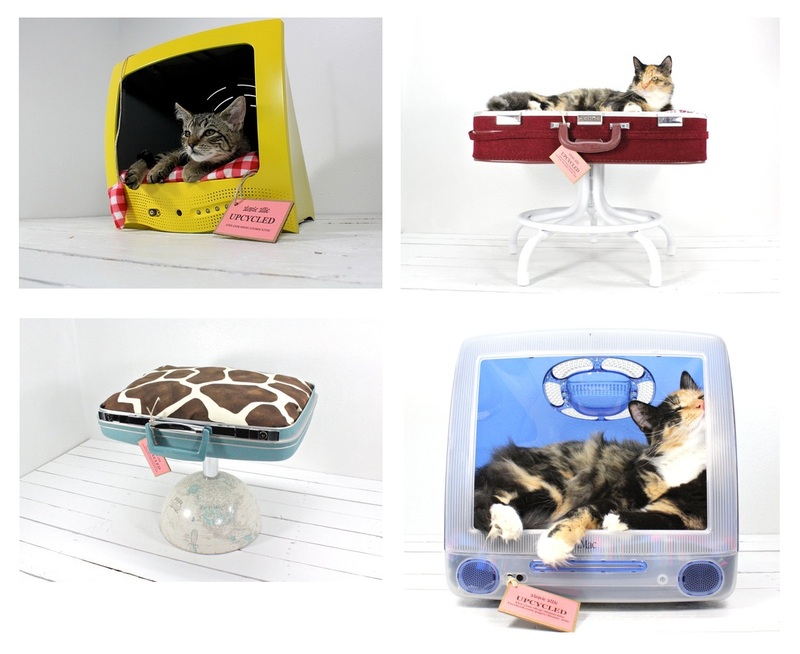 We thought wow, they’d be perfect for any charcoal/ grey themed room. 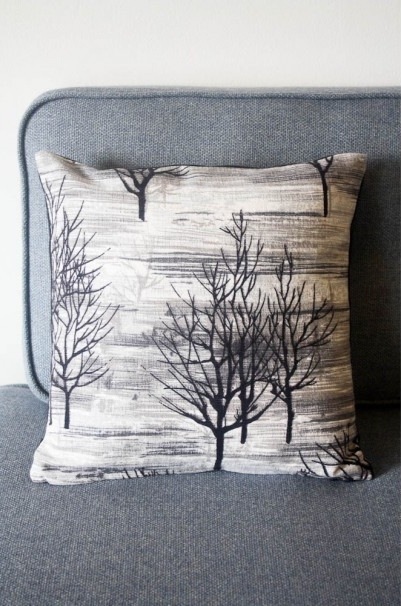 With a fabulous tree design and finished professionally to the highest of standards, these original 1960’s cushion covers are simply luxurious. With only three of these original retro cushions available, we’re certain these will be snapped up soon. The desirable finish, overlocked seams and zip to the bottom, along with the professional seamstress finish make these cushions one of our favourite accessories. With a wide variety of wallpapers from the likes of Laura Ashley, Arthouse, Prestigious and so on which would compliment these fantastic retro cushions a treat, these beauties are a steal – and so unique. Available at Johnny Moustache now. 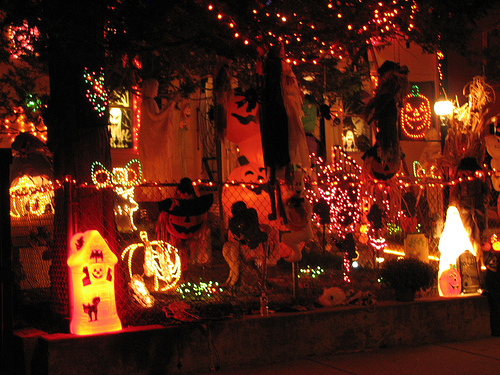 So guys, with Halloween 2012 fast approaching I thought what better chance than to show off my favourite Halloween decorated homes – ooooh, scary! Firstly, to all my American followers, I would like to congratulate you and point out that no-one decorates a home quite like an American. 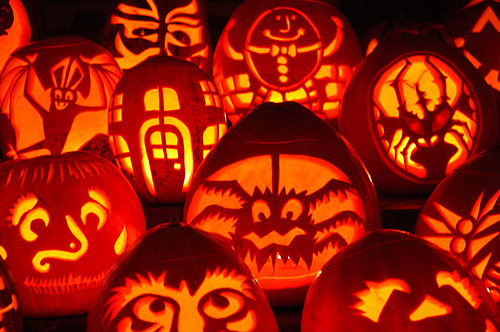 I mean, you Americans always go one better and take festivity decorating to the extreme – and here at Home Desirable we love that! 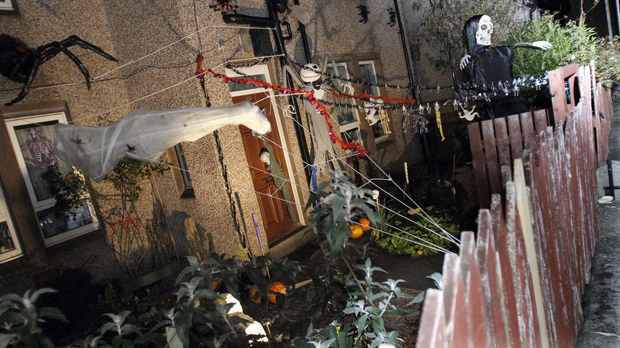 Over in the UK, especially in my local neighbourhood, there always seems to be the appearance of lightless houses. 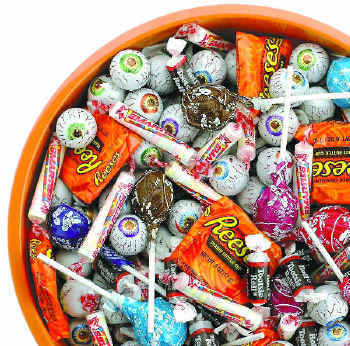 Now I’m not quite sure if that’s because us Northerners are tight with our candy, or if we fear Halloweeners are going to harm us with their prop knives? 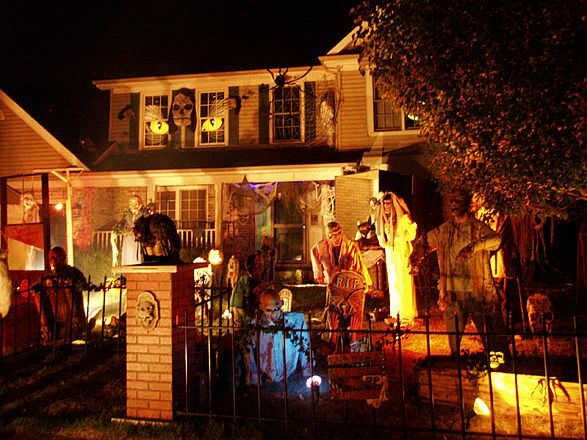 Anyways, after a while of searching Google images, I came across one UK home which puts the rest of us Brits to shame – Home Desirable was greatly impressed with this fantastic Halloween themed home, decorated to the max like a scene off some scary box office movie! 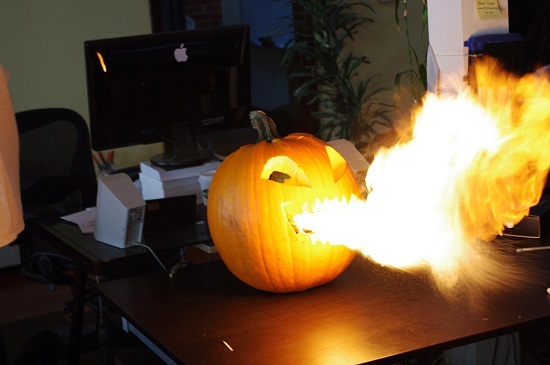 Any of you lovely bloggers go all out on Hallows Eve? Oh, please do tell!